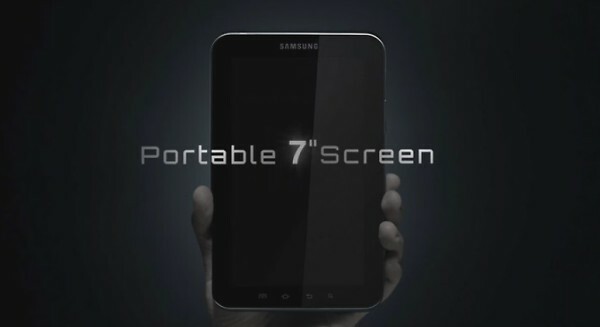 The Samsung tablet is just around the corner and, understandably, rumors about it are intensifying by the hour. But now we have something that’s better than any rumor or blurry spy shot – an official promo video. The video doesn’t say much about the tablet itself but it still confirms that it will be running Android 2.2 and will support video-calling. There will also be a second camera at the back of the 7-inch tablet and it will allow full web browsing (which probably means Flash support). Oh and the announcement is now certain to come on September 2. We just can’t wait to take it for a spin. Now make yourselves comfortable and enjoy the video. The only disturbing thing is the ever increasing resemblance to the Apple iPhone. First it was the re-branded Apple proprietary connector, now we clearly see that the Galaxy Tab bottom has two screws in the same manner as the iPhone 4. Awkward, isn’t it?